Hiring someone to manage your fitness center is one of the most important decisions you will make regarding the business. Management staff can make or break your business in a relatively short time. Your manager is your representative; your main customer service person as well as the person who manages your employees and makes all pertinent decisions when you are not there. 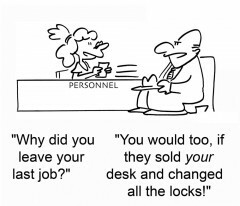 It’s no wonder that many fitness facility owners are reluctant to hand over the reins of their business to a manager. Your facility manager needs to wear a lot of hats. He or she will need to have exemplary customer service skills, leadership and employee management skills, have a solid background in fitness and fitness facilities, and above all be an excellent facilities manager. Your manager sets the tone for the rest of your employees. If he or she is too tough and aggressive, it will result in a tense, unpleasant atmosphere; too lax and things will get sloppy, which could result in someone overlooking a dangerous situation. In setting a salary for your manager, consider that the right person can save you quite a lot of money, whereas the wrong one can potentially bankrupt you. How much is your business worth? How much can you afford to pay? Putting a top priority on this position and compensating it appropriately will bring you a much better selection of personnel to choose from than if you attempt to skimp on the position. This is not something you should do by yourself. It’s a good practice to set up a panel of trusted friends who also manage fitness centers to help you with the interview process. Solicit their input for your interview questions, and let them guide you in the right direction. Anyone in the fitness business can be a valuable asset to your panel if you can’t find specific managers or owners. During the interviews, ask specific questions about how your prospective employee has dealt with conflict in the past, both with customers and with employees. Have they ever needed to fire an employee, and if so, how often? A manager who has had to dismiss a large number of employees may be a red flag; conversely, one who has never had to get tough may be too soft for your needs. Thoroughly check references and certifications, and a professional background check would not be out of line. Consider getting assistance from a headhunting or employment firm. Considering what’s on the line, it might be well worth the added expense. The time that it takes to find a great manager is worth the investment. 1) Care to share the good, bad, and ugly hiring and maybe firing experiences? 2) Any tips that you would like to add? 3) What is a great manager worth to you and your business?